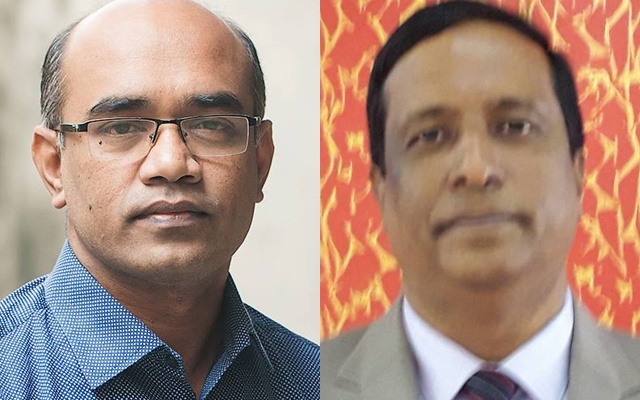 Professor Abul Mansur Ahmed of Dhaka University's journalism department has decided to drop charges he had pressed against his colleague Associate Professor Fahmidul Haq over a Facebook post. The department said in a media release on Sunday night that "Ahmed took the decision on the withdrawal of the case at a meeting of the department's academic committee earlier in the day". The release signed by the department's Chairman Prof Md Mofizur Rahman said Ahmed took the decision after Haq uploaded another post on Facebook apologising for his previous post. Haq said in the new post that the previous one was incorrect, according to the media release. In the case, Ahmed alleged that Haq had blamed him for the delay in publishing the result of sixth batch masters course of 2016 of the Department of Mass Communication and Journalism in the Facebook post. Ahmed also alleged that Haq's post divulged some confidential official information, which was also illegal, though it was posted in a closed group. The head of the department initially said no decision was taken at the meeting, but later confirmed the authenticity of the media release to bdnews24.com. Ahmed has been facing intense criticism on the social media after he started the case at Shahbagh Police Station against Haq under Section 57 of the ICT Act on July 13. A group of teachers and students demonstrated demanding the withdrawal of the case on Dhaka University campus earlier on Sunday.